Strait Talk was founded by young people, for young people, out of a desire to directly engage with each other instead of waiting for politicians to make progress. During the period of heightened tension across the Taiwan Strait in 2005, a group of Chinese- and Taiwanese-origin undergraduate students at Brown University in Providence, Rhode Island decided to launch a new channel for deep dialogue and collaborative problem solving—one that is designed for our generation. The name “Strait Talk” reflects our hopes to to speak openly with each other, get to know the other side’s real human needs and desires, and find common goals to collectively strive for. In Mandarin, our name denotes both “new” solutions and a desire to speak from our hearts. Brown University undergraduates worked closely with Dr. Tatsushi Arai, an expert in dialogue facilitation and conflict transformation, to build the original model for the week-long workshop program in 2005. Out of a highly competitive process, 15 college students (called “delegates”) from Taiwan, mainland China, and the United States were chosen to participate in the inaugural program. Brown’s Watson Institute of International Studies provided generous support, alongside partners that are mostly academic, research,and student organizations. This commitment to being volunteer-run, student-organized, with neutral funding sources has been Strait Talk’s hallmark ever since. The groundbreaking personal experiences in the first year program made it clear that nothing else like this existed—a mark of distinction for the program that holds true today. Strait Talk’s unique model offers the best channel for deep and direct dialogue about topics that are otherwise too taboo or sensitive in any other setting. Strait Talk delegates have been so inspired by their own dialogue experiences that they have led the charge in scaling the model across the world. Alumni started the U.S. West Coast program in 2009 (hosted at the University of California, Berkeley). The Hong Kong program launched in 2011 (hosted at Hong Kong University) as the first Strait Talk to be conducted fully in Mandarin Chinese. 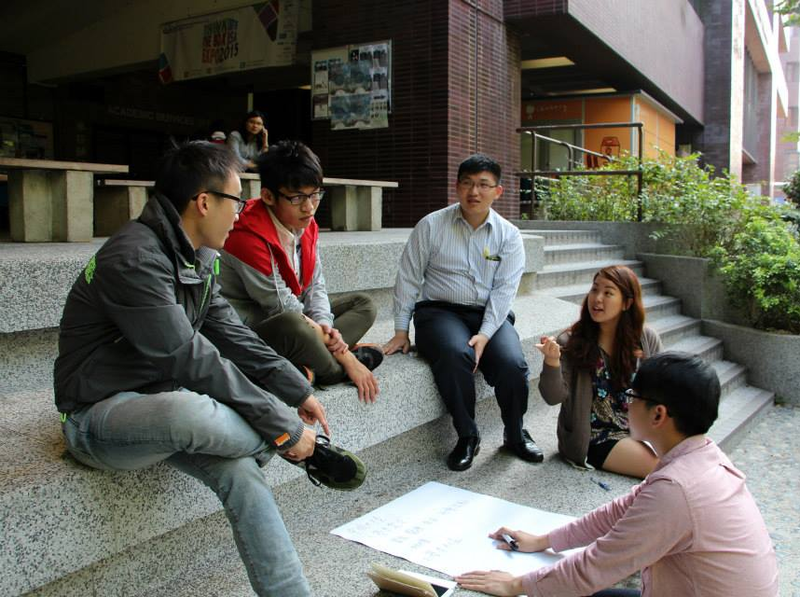 In 2012, the Taipei chapter (hosted at National Taiwan University) brought the model back to geographic heart of the dispute. All three new locations have been started by Strait Talk alumni who first went through the dialogue themselves. Together with the flagship Brown program, Strait Talk now hosts four dialogue programs a year. The overall model and global network is led by a Strait Talk 501(c)(3) nonprofit organization and its Board of Directors. Since its founding, Strait Talk has envisioned opening channels that seemed impossible at the time. In 2005, the inaugural symposium proposed opening direct flights between Taiwan and Mainland China, an idea that was inconceivable in the intense political environment of that era. Three years later, it became a reality. Likewise, in 2008, Strait Talk delegates suggested an in-person meeting between the most senior leaders from each side—something that had not happened since August 1945. Then, after seven decades of estrangement, a summit of the two sides’ leaders was held in Singapore in 2015. Much has changed and much remains the same across the Taiwan Strait since Strait Talk began in 2005. Despite the increased trade, flights, and tourism exchanges, most people don’t talk to each other about the things that truly matter—national pride, family trauma, personal identity—often the most difficult conversations. Strait Talk remains the best (and possibly only) opportunity for young people who care about this issue to talk to each other in a safe, open, and honest way, with an eye toward building community and finding solutions. Without dialogue, there is no chance of a just and peaceful future. Today, as in 2005, we take no position on the desired outcome of the Taiwan Strait, but remain deeply committed to the process of building deeper understanding and honest dialogue to get us there. Join us.